That is right! A lucky fan will win a FREE DVD copy of the third season of the sci-fi hit series, The 100, that has been released this past Tuesday. The theme of the giveaway will be “Freeform.” What this means is that it will be an open creative outlet, that you can write your own The 100 themed pieces, or fan art. Here are the guidelines and rules. You must follow them in order to participate. You can create anything of your choosing, as log it is The 100 themed with the characters, ships, survival, and the other important aspects of the show. Only one piece per entry per person. Anyone who submits more than one will be disqualified. All entries must be tasteful, and must contain an “R” rating. However, no slander, no racism, no stereotyping, and nothing derogatory. Or nothing that will harm people or animals. No disrespecting the cast, writers, crew, the show runner, and other fans and participants. For the record, harsh criticism and disrespect are two very different things. Do not let that confuse you. LGBT themes as well as disability, are greatly encouraged. If you make a fan video, you must have a frame that will state, “For the Grounders Source The 100 DVD Giveaway” along with the website link, and twitter handle which is GroundersSource. The frame must be either placed in the beginning or ending. Although, if you decided to put it in both beginning and ending, that is more then acceptable. Also, you must send your video’s YouTube link to me either through Twitter or email. For the fan art, please credit your name in the lower right-hand corner, and also place “For the Grounders Source The 100 DVD Giveaway” below it. This is for when you share your work on other social media outlets. For the written pieces (fan fiction and essays), again, the “For the Grounders Source The 100 DVD Giveaway” must be placed, and under the title of the written piece. You must follow Grounders Source on Twitter (@GroundersSource), so you can stay in the loop with everything. Plus, the hashtag will be #The100DVDGiveaway when discussing it on social media. 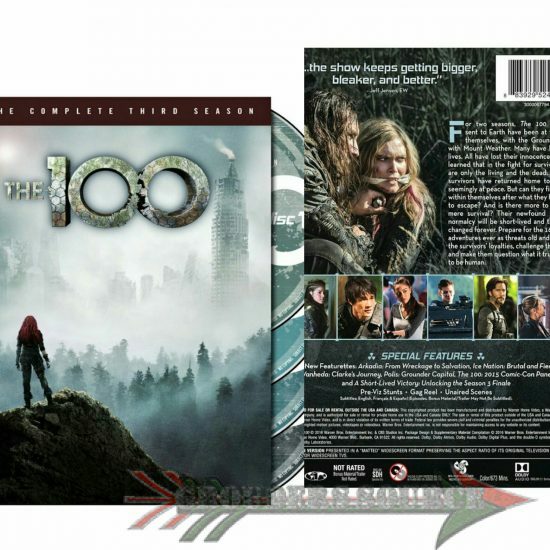 All entries must be sent through email at grounderspodcast@gmail.com, with “The 100 DVD Giveaway” in the subject line, and must be in at 12 AM central on Monday, October 31st, 2016. There will be two winners. First prize will be a copy of The 100 Season Three DVD set. Second prize with is a “Life is a Fight” poster. Also, both pieces will be featured on the Grounders Source Instagram. Winners will be chosen by the originality and creative perspective of the pieces. Also, heartfelt and touching will also be judged on. I will not discriminate any theme that you have chosen in judging. I will have the fans decide between the two pieces, and they will determine by voting. They can only vote once daily, and the voting will go for one week. There is no age limit or country limit. I will post the best two entries the following Friday, November 4th,2016, on the site. I hope that clarifies the whole gist of the rules. If you have any questions, please feel free to contact me through Twitter, either a tweet or a DM, or email. I will respond as appropriately and best as possible.